Can you build a tech startup if you are not techie enough? Giri came to us with his baby idea to build a diet planner application. Once he approached us, we dived deep in his idea. We quizzed him about his goals behind the application, target audience, their pain and gratifications that his application is promising to offer. He was not a tech guy. To translate his idea to a product, we had to be Giri’s CTO, and a trustworthy tech team. While Giri hustled to decode the investment puzzle, we took one step at a time to shape up Giri’s baby idea into a prototype, a MVP and a full fledged application. Today, Giri is the founder of a viable tech-startup. And Giri is not alone in the world of startups whose little knowledge on technology or “how things to do” has never been a hurdle to launch their business. 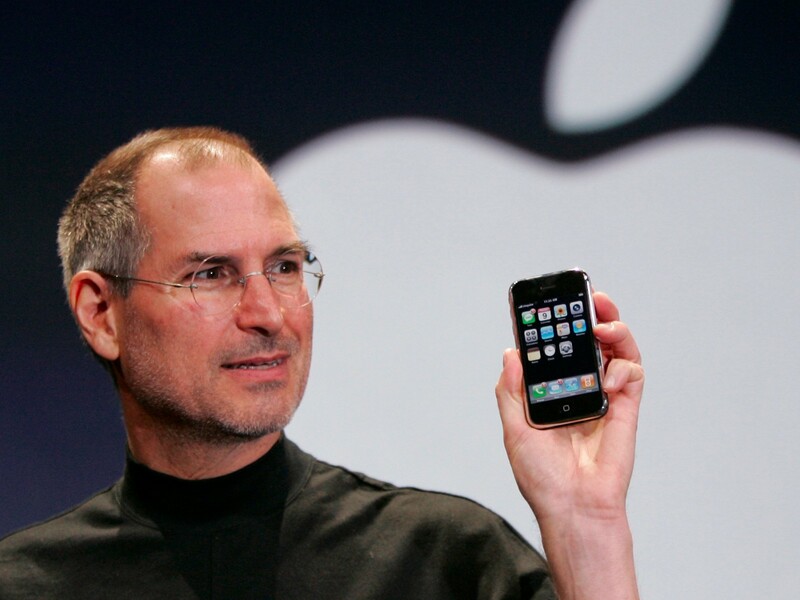 Steve Jobs was not a tech-architect. Who cares? The man changed everything related to the computer. Elon Musk never built a car or spaceship in his life but that hasn’t stopped him from changing those industries. People are keen to place the likes of Steve and Elon out from the rest but their success has proved that even a non-techie can build, run and scale up the tech startups. When you don’t have tech excellence to bring on the table, make sure you cover the basics. Your idea has a big say here but likes of Steve and Elon are also the masters of tearing down the existing products and consumer behaviors. The roaring success behind Elon’s Space X has lot to do with how Elon has been successful to examine the cost of building a spaceship, finding fallacy in the existing mechanism and reduce the expenses later. Can you do ala Elon? If yes, that will add impetus in your future tech team’s results or make operation easy for future CTO. Understanding the competitor’s products or service is a basic step here. Once you are ready to go beyond that and invest yourself to know the audience, their need and pain points, your insights will bolster your idea. Of course, Steve has got a strong backbone in Stephen Gary Wozniak aka Steve Wozniak but the famous “idea dots” or say foundation of Apple was very clear in Steve’s head. Once you acquire that, a strong team makes the translation of idea to application very seamless. This may sound spiritual but for an evergreen run, you have to find the “Why” or “Vision” or say “Soul” of your every step. When your techie guy is busy to code and decode, you must dive deep inside you, your idea, your mission to know the hunch behind all, from building a product to launching a startup. “Great businesses have a point of view, not just a product or service. You have to believe in something. You need to have a backbone. You need to know what you’re willing to fight for. And then you need to show the world”. In your initial days, chasing “vision” seems lousy job. But, as the time will progress, you will understand the worth of it. From the tiny bits of marketing strategy to craft your elevator speech and even decor your office with an indispensable culture, your vision will determine everything. If you are yet to find out your vision, browse through your favorite products or services. Try to decipher their vision and investigate how well they are trying to keep their promises here. Microsoft- our mission is to empower every person and every organization on the planet to achieve more. Apple- We’re a diverse collection of thinkers and doers, continually reimagining what’s possible to help us all do what we love in new ways. Intercom is a creative company genuinely helping internet businesses connect to their customers as humans. Basecamp solves the critical problems that every growing business deals with.It’s the saner, calmer, organized way to manage projects and communicate company-wide. Working with startups, we have realized it’s best to resolve this question now. Giri was hellbent to help people to eat healthy. And when you have a vision in your mind, it also helps your tech team to work on it and build the product. Let’s talk about your idea now. Idea that not just keeps you awake in the night but viable enough to build a product. We presume you are working days and nights to kick off a successful business. Here, the assessment of your idea is important. Now, to assess or validate your idea, you must need a tangible form of it. Sit with your tech team, share your apprehension and ask how they can help you? A prototype to find your lost conviction or an MVP to test the feasibility of your idea- you have options to explore. Keep your senses open, know what is doing well and how they are winning audience. And now scrutinize your idea with all the lessons. More you validate your idea, better will be your understandings of the loopholes and strength. When you are not techie enough, there is one question that you have to answer now. How can you add value to your startup? Hunt now. Hunt fast. Tasks are plenty for you. But amidst everything beware of the idea cocoon. There is no point of overthinking and overdoing your exercises inside your head and notebook. Proposal of building product may sound ironical here but at the end of the day, you have to deliver your product to your audience. Don’t aim for something extraordinary at your first shot. Start small, start now. This is much better than, “start big, start later.” One advantage is that you don’t have to start perfect.You can merely start. Your tech startup will have some substance and understanding when you will connect to your audience and investigate their reaction with your product/application. There is no shortcut or magic theory of building the tech startup. What we have learned across the years is that the recipe of tech startup is having a right balance of a man of vision and someone with the tech brilliance. Ensure now you play your part well and make sure you have a good ally to take care of other areas. All the best.